Break out your marble notebooks because you’re about to get some knowledge dropped on yah brain! When you’re an upstart company that not only offers the loudest portable speakers, but the most affordable portable speakers on the market too, it helps to know a thing or two about acoustics. 1. Music at a rock concert does cause temporary hearing loss, but NOT permanent damage. A human’s threshold for audible pain is 140 dB which is why, in most cases, music at a rock concert can hurt a little (even if you’re not close to the speakers). In fact, persistent exposure to speakers at 90 dB or more has proven to cause progressive hearing loss. For comparison, conversations typically measure 70 dB; a chainsaw is 110 dB; a rock concert is 140 dB; and a rocket engine is 180 dB (for all of you rocket scientists). 2. The human ear is most sensitive to sound that falls between the 1000 Hz and 5000 Hz range. This range actually lessens over time because as we get older, the hairs in our inner ear wear out over time. Hmm . . . potential product opp for Rogaine out there? 3. Frequencies above 20,000 Hz are too high to be heard by humans. Ultrasonic frequencies, as they are better known, can be heard by some animals, though, including dogs and cats. On the opposite end of the spectrum, frequencies below 20 Hz are too low to be heard by humans, though children are better able to hear lower frequency sounds than their grown-up counterparts, especially when it comes to subtle sounds like, say, the humming of lights. 4. Ringing in the ears means you’re listening to something that’s too loud. As much as this pains me to say, as I’m an enthusiast of crank it till you feel the seat vibrate acoustics, ringing in the ears, or tinnitus as the doctors are calling it these days, comes from damage to the microscopic ending of the hearing nerve in the inner ear. So, next time Moves Like Jagger comes on the radio, you might want to keep it on the low folks. Keep it on the real, real low. 5. 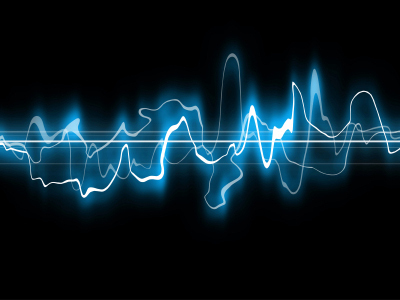 Sound waves cause variation in air pressure in the ear. Pretty cool, right? Sound waves actually exert variations in pressure on the ear, but when exposed to a really loud sound, the amount of air pressure built up can be intense enough to cause permanently damage the ear and cause complete hearing loss. Check out our BB1 and BB2 portable speakers: they won’t bust your ear, but they’re still loud enough for you to bust a move to. This entry was posted in music, Portable Speaker Reviews, tech news and tagged acoustic facts, affordable portable speakers, boombotix bb1 speakers, boombotix bb2 speakers, loudest portable speakers, portable speaker, sound waves, speaker facts by jeffbausch. Bookmark the permalink.